Sony Pictures Entertainment has signed a new multi-picture deal with Korean exhibition innovator CJ 4DPLEX to release 13 films in 2019 in the 4DX format, The Hollywood Reporter has confirmed. 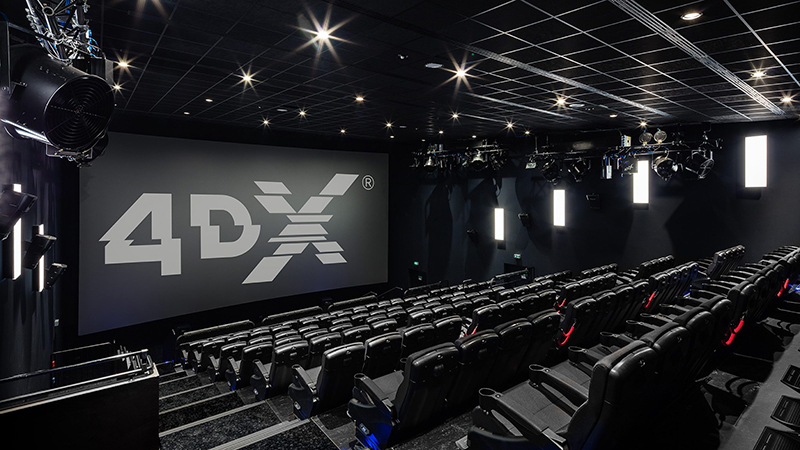 The 4DX theater technology augments and enhances the experience of a film with 21 sensory effects, including seats that move and vibrate in tandem with the action on the screen, dynamic bursts of light, and other integrated elements such as scents, wind, water, snow, and more. To date, the technology has been installed in 583 theaters in 60 countries worldwide. “Experiencing films in the 4DX format brings a whole new experiential level to get movie fans out of the home and into the theater. We have an exciting line-up of films in 2019 that lend themselves to the 4DX immersive experience,” said Scott Sherr, executive VP of worldwide theatrical distribution at Sony Pictures Entertainment. The deal will launch with the release of the psychological horror film Escape Room, followed by other major releases from the studio throughout next year, including Spider-Man: Far From Home, Jumanji: Welcome to the Jungle 2, and the Men in Black spinoff, Men in Black International. The post Sony Enters Deal to Release 13 Films in 4DX in 2019 appeared first on ComingSoon.net.